We will implement a regional industry tax preferential policy based on the country’s western development strategy. 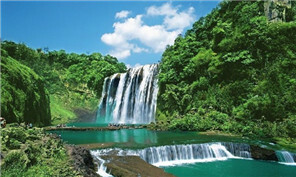 The Project Design for Land Utilization in Guizhou should be implemented seriously . For industries with preferential development and intensive land utilization, and those industrial projects with primary processing of farming, forestry. Enterprises will develop their own brands. Those that conform to national and provincial regulations can enjoy national support policies. A special fund for talent development will be set up. It will implement a "special invited expert" system.